Last week I couldn’t sleep. Why? Because I suffer from Restless Entrepreneur’s Syndrome… I woke up at 3:30am with a brilliant idea and couldn’t sleep until I brainstormed it out on my iPhone. After about an hour of brainstorming my brain was fully awake, so I compulsively took action to implement this idea. The idea? To start a new “Author’s Quick Guide” series of Kindle books to answer authors’ most nagging questions and increase my own passive income at the same time. Within two hours the first book in the series, Author’s Quick Guide to Pricing Your Book was born. 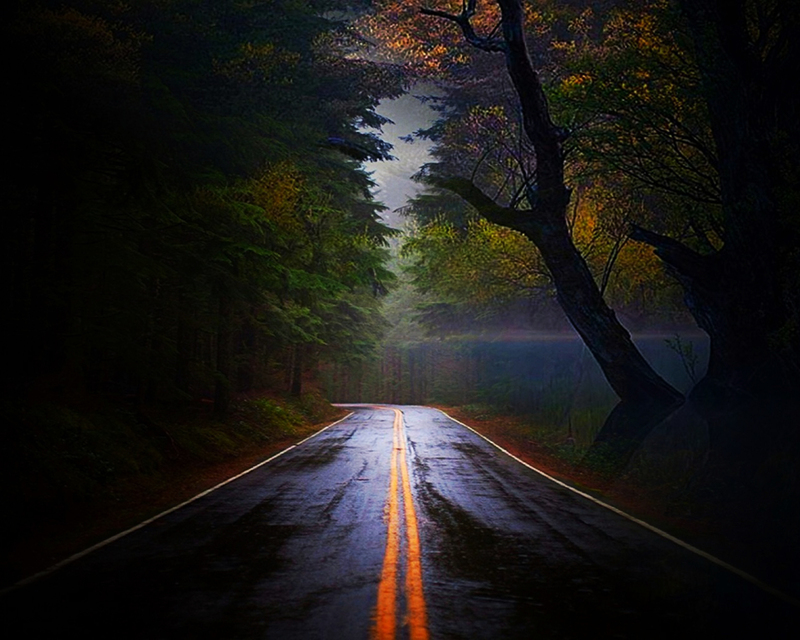 Then on Thursday I woke up at 4:30am full of energy to start writing the next e-book in the series. I wrote most of Friday morning, took a break in the afternoon, and finished up the last two sections and did a full round of edits on Saturday. 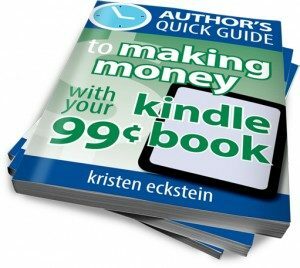 Saturday evening I sent it off to my e-book programmer, and on Sunday I submitted Author’s Quick Guide to Making Money with Your 99-Cent Kindle Book to Kindle. I got super excited when I finished the next book, especially since it was three times the size of the first one and took me less than two days to write, so I sent it to my coach Nicole Dean, who promptly called me with a crazy idea… Could I write and publish one of these Kindle books every week for the rest of 2013? Today I’m making it public so all of you can hold me accountable and watch my journey unfold. Here’s the plan… (Disclaimer: I’m not a planner and I absolutely loathe the planning process.) 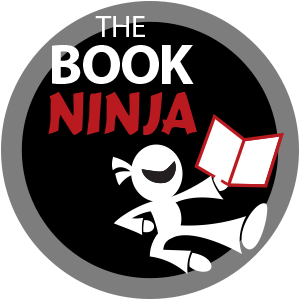 I refuse to put out crap, so the e-books I’m writing will be edited, covers professionally designed, and the interior is hand-coded by my team. All after writing it – all (including writing) within one week. Create my e-book cover. I do this myself, using professional book design software, then have my Creative Director take a quick look at it and tweak it if necessary. Having my cover done motivates me to write the book. Post my new cover to Facebook. I do this for accountability. If I post a cover every week when it’s done – before I even write the book – now I’m being held accountable to all of my 2300+ friends. Not to mention building buzz and creating potential customers. Write like the wind! I schedule a solid two-hour block of time to write. I use some articles from my blog as a foundation and outline, then expand and add as much new information as is in my head. I also use some tricks I share with my coaching clients to write fast and do the research and insert pictures later. Write some more! I’ve found I can crank out small (4,000-word) e-books in about two hours. If the subject requires more depth and explanation, not to mention research, I write for another few hours. Edit. I let the e-book rest for at least two to three hours. During this time I do something non-work related away from a computer screen. Last week I took myself to see Iron Man 3 at our budget theater. On Saturday I spent some time fooling around with chocolate in the kitchen. The important thing was to rest my eyes (and eat chocolate). Then I went back to the screen and spent about two hours editing my book. Program. Finally, I sent the cover image and interior PDF to my e-book programmer to turn into a super pretty Kindle book. Now I sit on my hands, twiddle my thumbs, eat more chocolate and occupy my mind with client work. Upload! After I check my completed MOBI file over on my own Kindle Fire to make sure it looks pretty and doesn’t have any glaring typos or weird formatting issues, I upload it to my Amazon KDP account. Sleep. Ultra important – I don’t get much sleep during the first five steps of this process, so I like to upload my Kindle book before I go to bed at night, get a good night’s sleep, then watch it launch in the morning! Would I recommend you to publish one per week? No. Mostly because to do it right you’ll want to outsource cover design and programming to a professional… and outsourcing always means training someone else to climb inside your head and read your mind. That takes time, so I don’t recommend you jump into a challenge exactly like this one unless you already have a mind-reading team on standby. However, do I recommend you get your Kindle book done as fast as you can? Absolutely! Kindle is an excellent place to get your feet wet in publishing, and to bring fresh content to your target market and increase your own passive income. How Do I Have Time to Do This? First, I didn’t get where I am today because I took off weekends and holidays. I built my business working sometimes 18-hour days, 6-7 days a week. A few years of that kind of dedication and now I can take off whenever I want, and work whenever I want. If this means starting work at 3:30am and going for 18 hours straight, then I do it. And I usually sleep really well that night. Second, I do have a full-time job. I run a business with a large team of people. August through February is the busiest time of the year for us. Last week alone we sent two books to print and published seven on Kindle. It takes a lot of time to manage all these projects, not to mention write fresh content for my weekly newsletter and keep up with the content I regularly supply as guest posts to colleague’s blogs, schedule guest webinars for you to learn more from people I love, and for me to put together slides and webinars for their people in return. Add to that my speaking and travel schedule like my being gone five full days in the next week (and I haven’t started writing next week’s book yet), and I’m just as “busy” as you. For me, though, it’s a matter of priority. My dream of getting this series out is important enough for me to do whatever it takes to see it through. And I’m not writing 400-page volumes, I’m answering questions in a complete e-book format. Some questions can be answered with only 4,000 words. Some take more than 12,000. And last, it’s a matter of passion. I’m super passionate about this new idea and how it’s going to help authors all over the world, and that drives me to complete it. Once you find your passion and ignite it, you’ll be just as unstoppable! I am so happy to have discovered your blog, via Kelly McCausey’s site. I love the idea of creating this little kindle books. I want to work on my own series of books and reading this post has provided me with even more motivation, as well as the confidence to know that it is possible. I SOOO love this, Kristen!! Kristen, You GO girl! You are my inspiration! Now you are leading by example. POWERFUL! I’ll watch you first. Best wishes and you bet your concept I’ll keep you accountable. I may even suggest a few titles! Get ready eBook cover-format-upload person. Here come my eBooks! This has inspired me so much that I will put everything aside, begin writing, and will not be distracted by anything until I have finished my book!